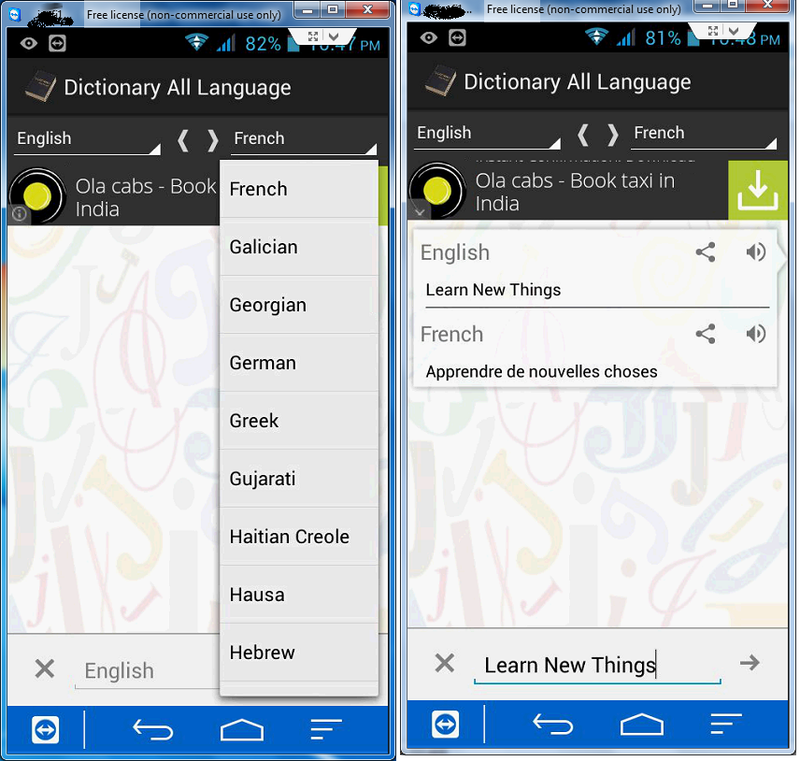 Dictionary All languages is the best translation app in Android. 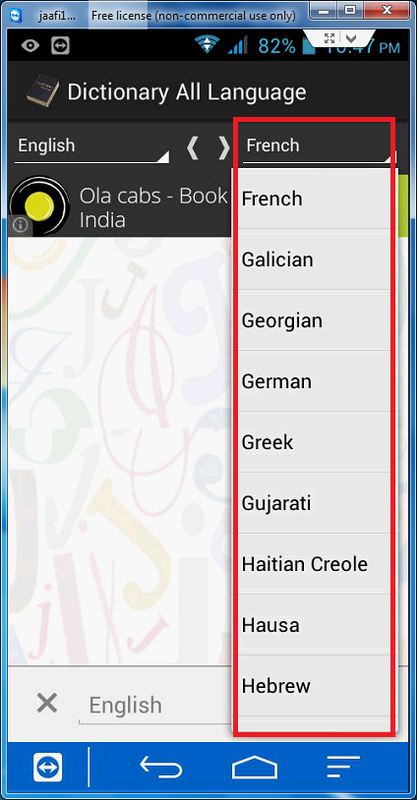 Translate any sentence or phrase into any destination language with audio pronunciation and enjoy a set of useful add-on features such as text-to-speech, and integrated social media support. 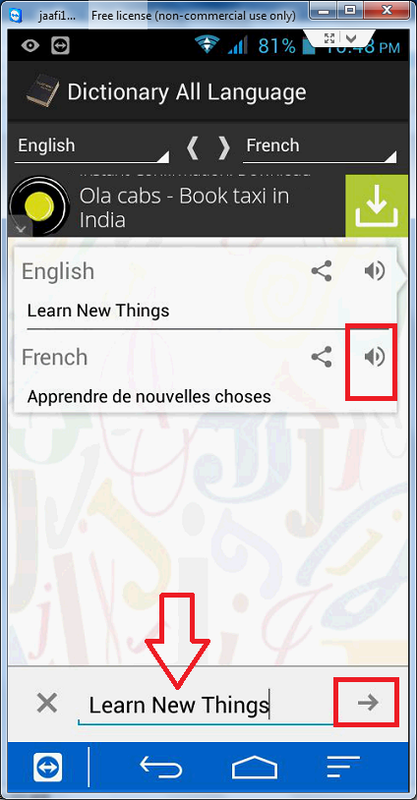 Quick and fast translate your sentences/phrases/words with high accuracy results. Share your text to your social media. 4. To share your text click on "Share Icon"